A Message from Middle East Stock Markets? Should it matter to U.S. investors that Middle East stock markets are among the worst-performers this year, with many trading at or near 52-week lows? On the face of it, the answer would seem to be no. While a growing number of Americans are diversifying into foreign equities, funds have generally been directed toward the developed economies of Europe and Asia, or the larger, more advanced emerging markets like Brazil, Russia, India and China (the "BRIC" countries). 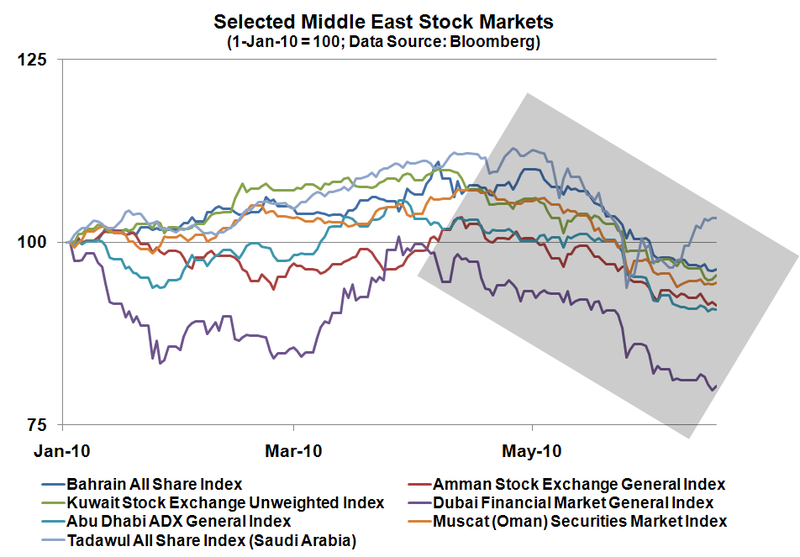 Still, while the performance of share markets in the Mideast might not be directly relevant to most Americans, I wonder if the recent trend should be viewed in some broader context. That is, are those markets, as a group, anticipating developments that might have more far-reaching implications? Financial. Upheaval along the lines of what we saw last fall, when the Dubai financial crisis erupted. Economic. Continued weakness in oil (and other commodity) prices. Political. Instability resulting from a looming regime change in Egypt (long-time leader Hosni Mubarak is 82-years-old and has had to contend with various medical issues). Geopolitical. 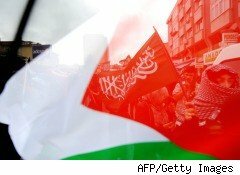 Conflict stemming from increasing Israeli-Gaza tensions, Israel's repeated threats to destroy Iranian nuclear capabilities and efforts by the U.S. and others to impose sanctions on Iran. Whatever the case, the fact that investors are heading for the exits in a traditionally unstable, but strategically important region of the world is a development that bears watching.